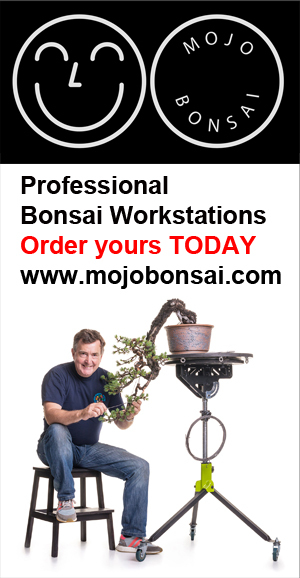 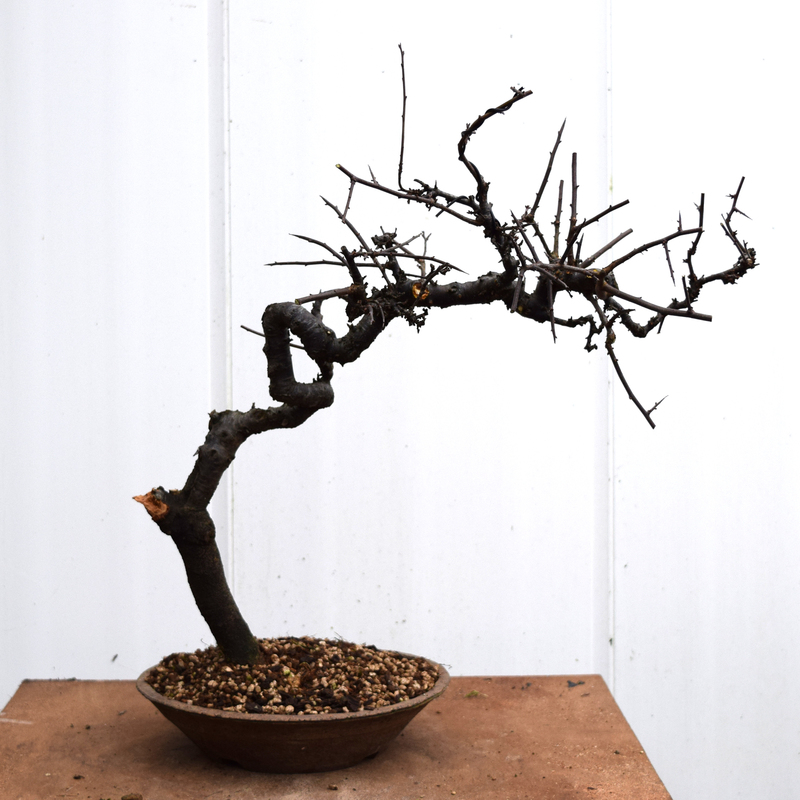 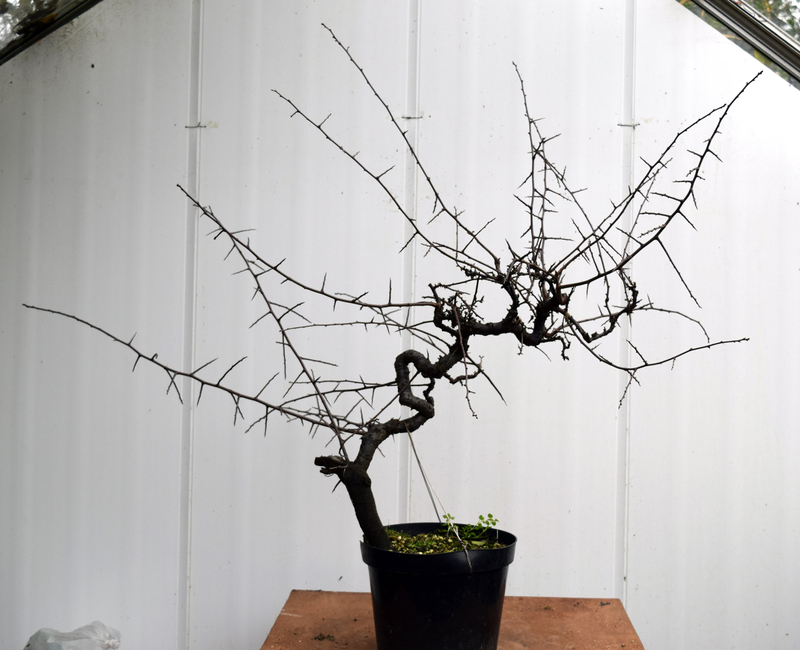 When purchasing raw material Yamadori… that is trees that have been collected and are in the first container that they were established, many folk are concerned that the transition to a smaller container would be too traumatic an undertaking. 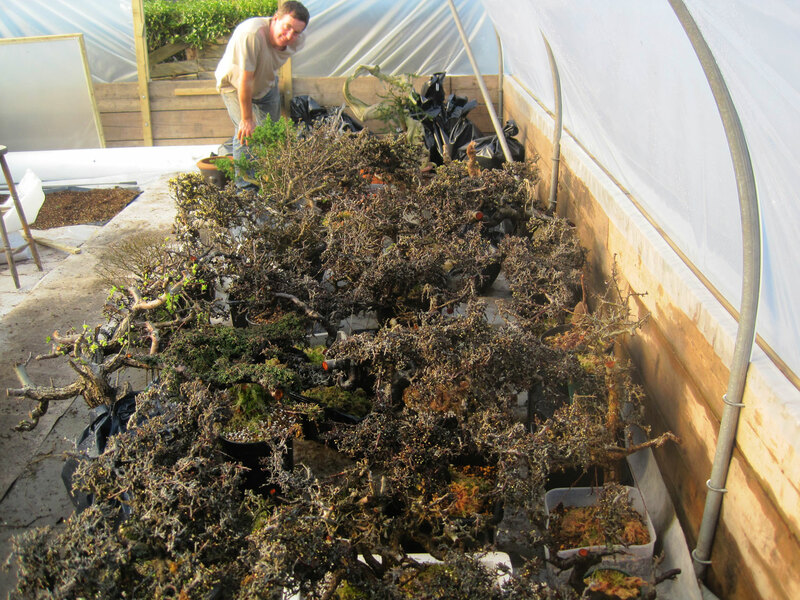 Timing, health and understanding the resilience of the species is essential when doing this work. 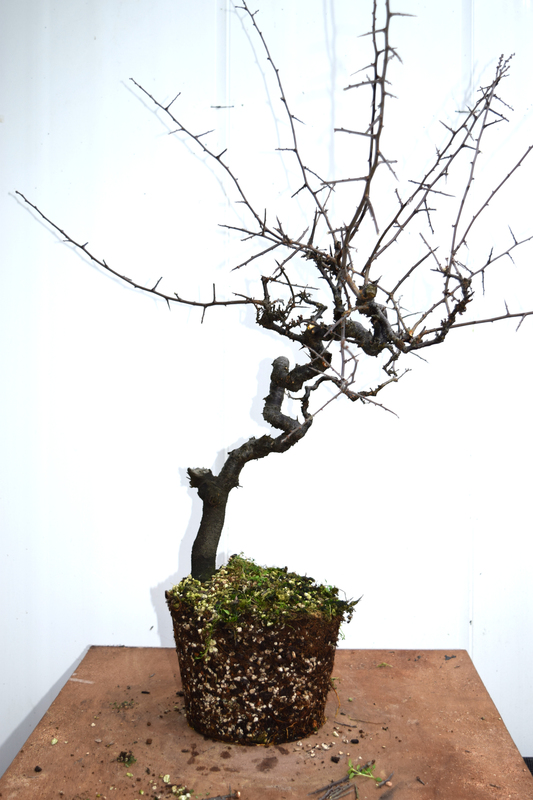 The example shown here is a yew tree that I am developing for David Carvalho from Portugal, the tree has been in its first container for three years and is ready to be moved to a much smaller ‘bonsai pot’ size container. 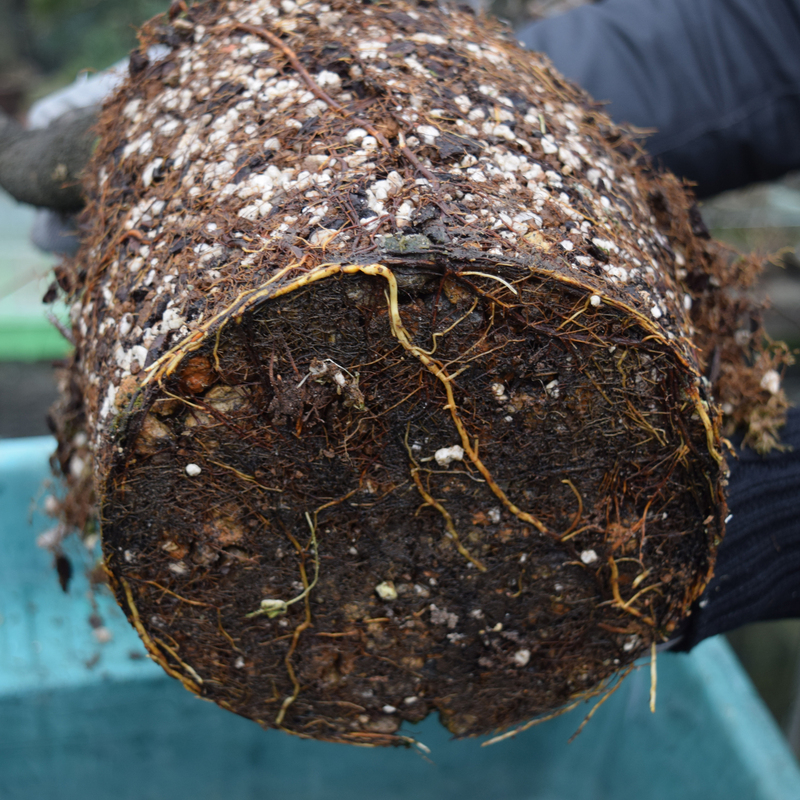 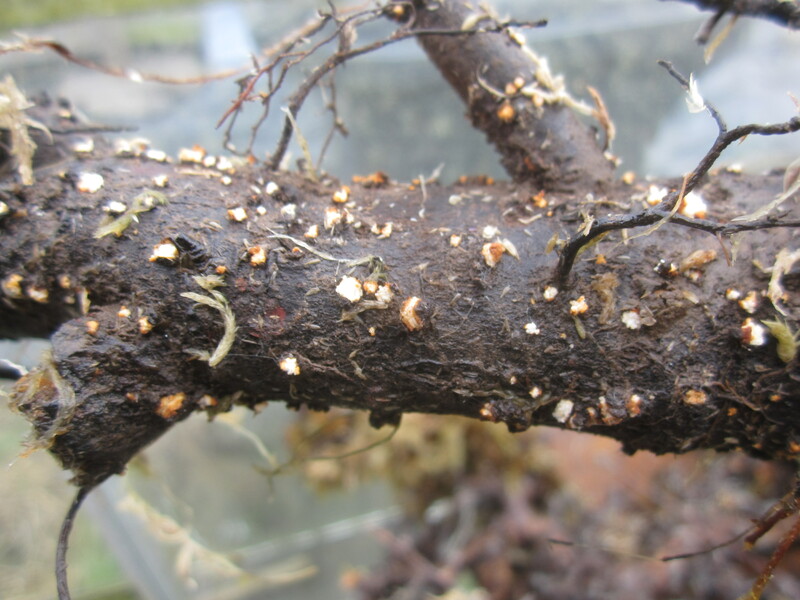 Checking the roots we see that it pot is full and there is Mycorrhiza present, good evidence of a healthy root system. 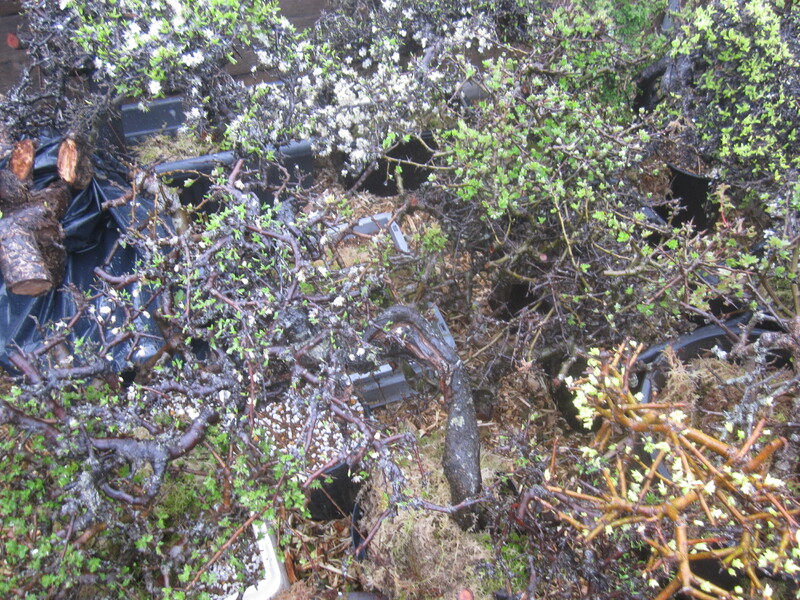 The establishing planting medium is still very open and there are no ‘black’ roots to be seen. 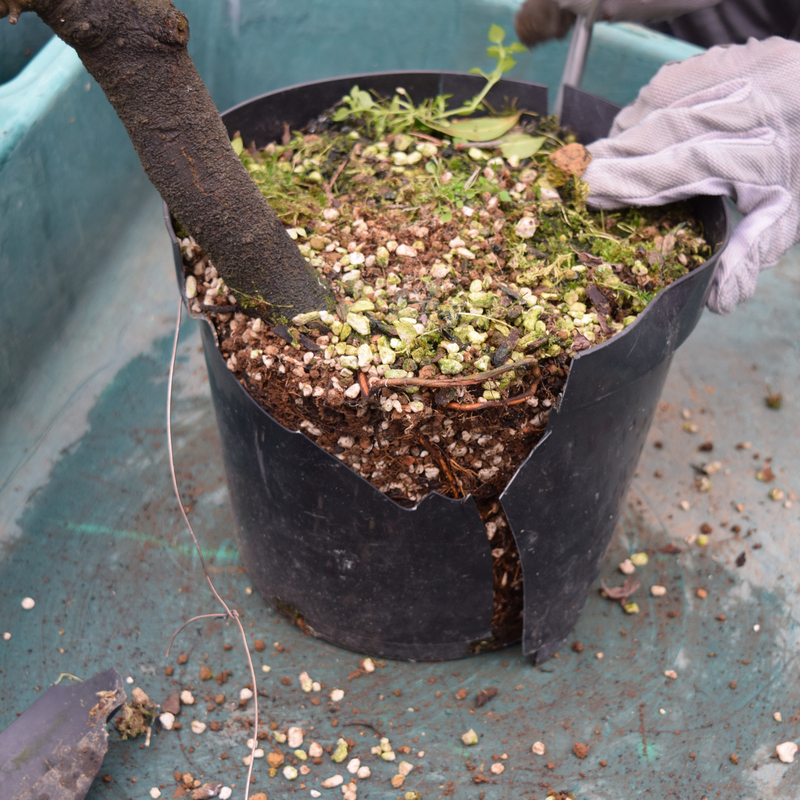 On closer inspection a thick root needs to be shortened to enable the tree to fit into a smaller pot. 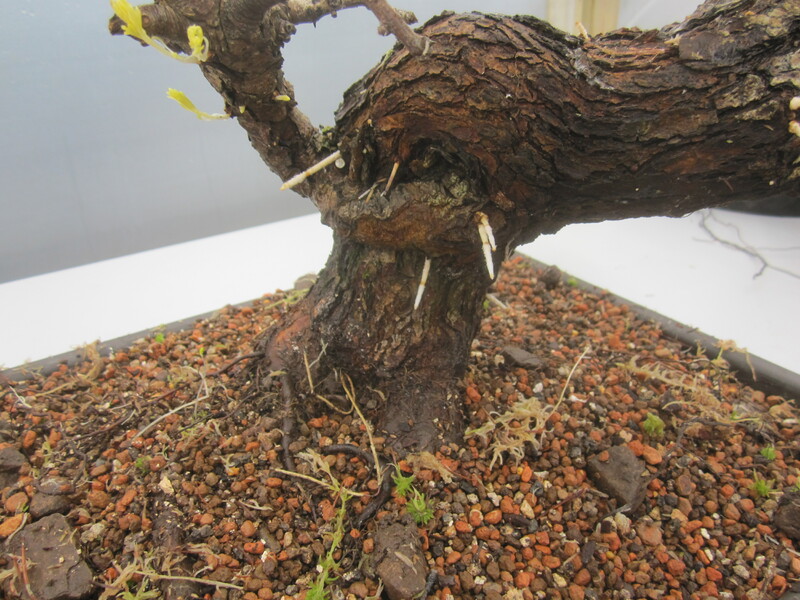 The abundance of new fleshy root that is present closer to the tree enables me to make a big cut, the top of the root will need to be ‘carved’ to blend in the nebari, this will compliment the deadwood that will feature as part of the overall design. 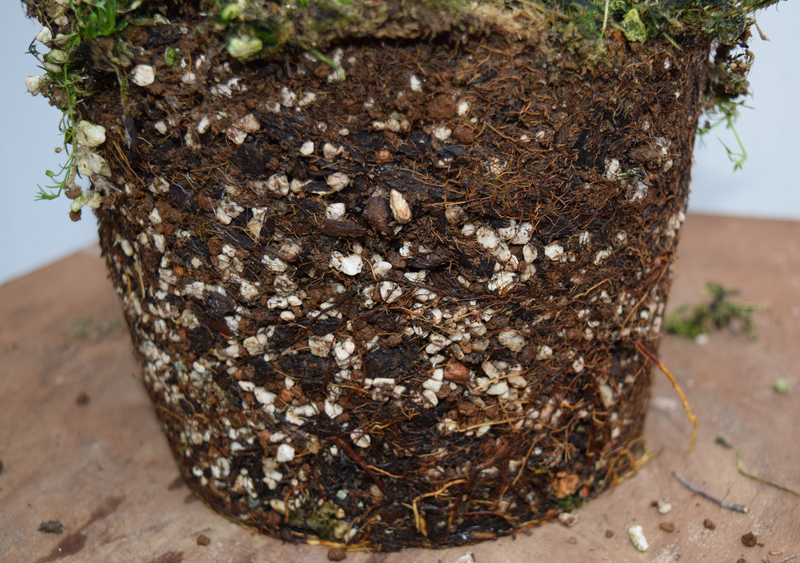 The root ball is reduced with the fine roots being cut with very sharp sterilised scissors, the tree is tied into the container with wire and filled with my special soil mixture and left to grow for another season before any further work is done.